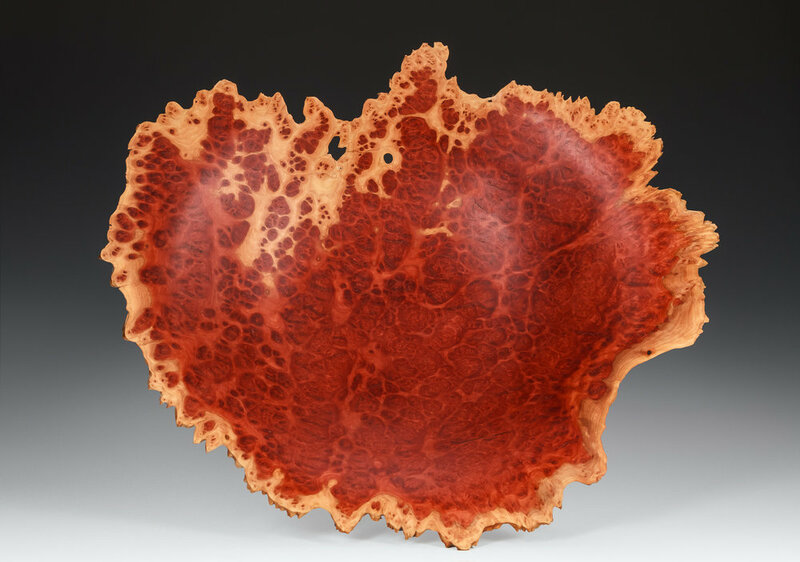 All these wooden burls are turned from burl caps that were cut off the log. 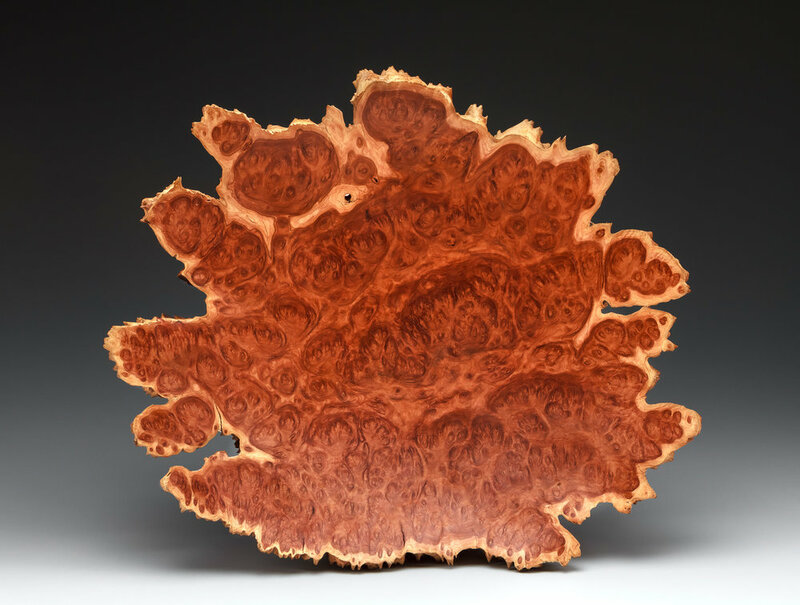 Wood burls are tree growths in which the grain (the longitudinal arrangement or pattern of wood fibers) has grown in a deformed manner. 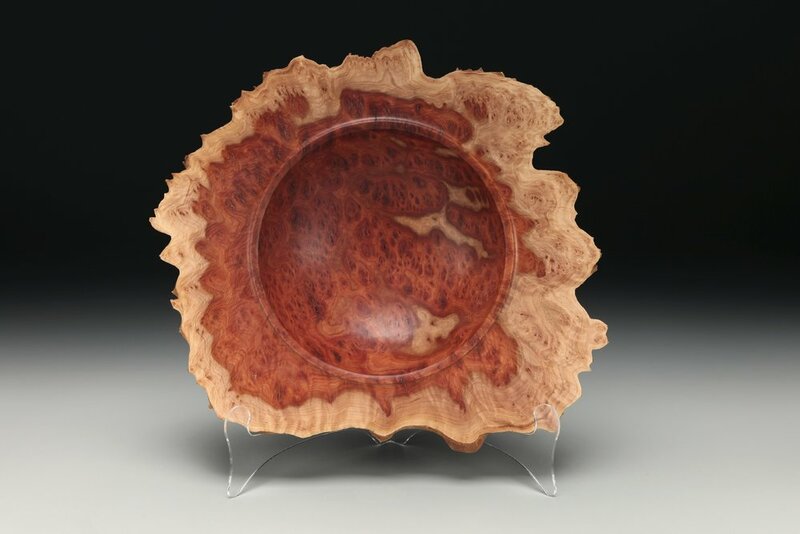 It is commonly found in the form of a rounded outgrowth on a tree trunk or branch that is filled with small knots from dormant buds. 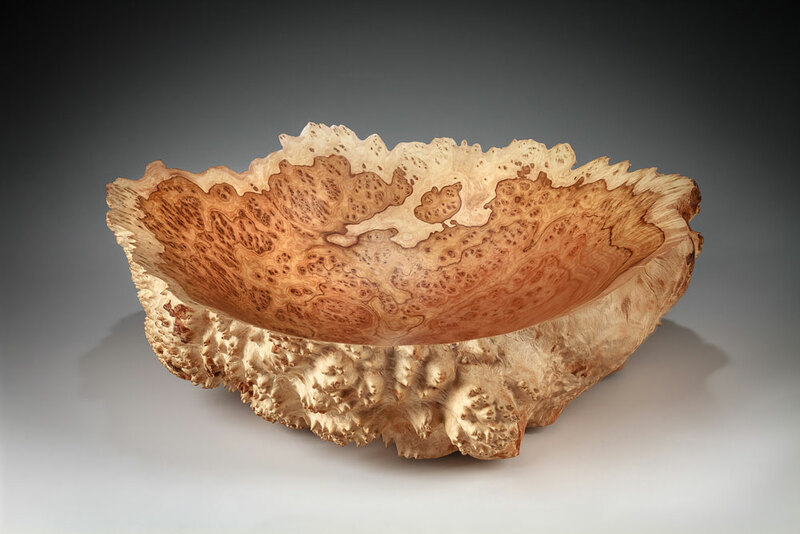 The most notable properties of these Australian burls are their beautiful color and highly figurative grain. 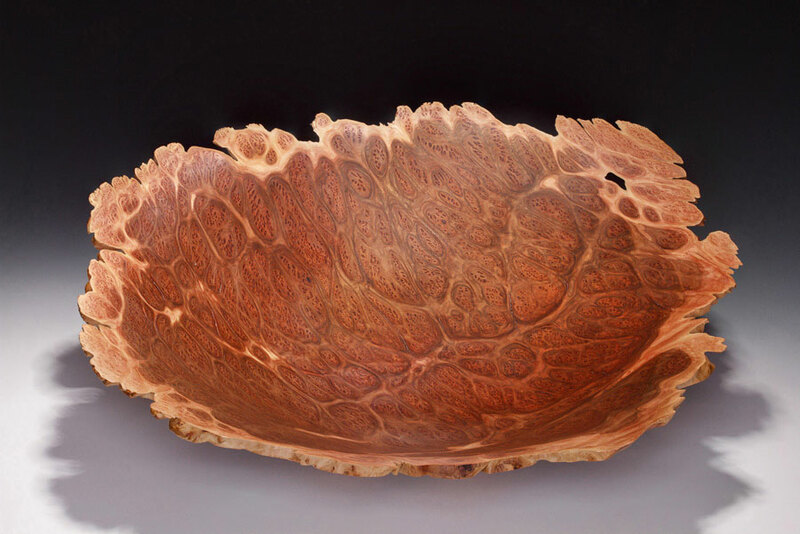 The wood is very hard, heavy and oily which makes for very intricate and decorative pieces.